Wait, what? Did that really just happen? The Chiefs were up by fourteen with 3:49 to play, how did they lose that game? Those are just some of the questions Chiefs fans were asking when the game ended in a swift and heartbreaking fashion. The Chargers scored two touchdowns and converted on a two-point conversion in a span of 3:45 and only had to lead for four seconds to get the victory. Now let’s breakdown the different parts of this Chiefs-Chargers game. The Chiefs started out hot four drives into the game. It took just two plays from scrimmage before Steven Nelson intercepted Philip Rivers. Then with a short field, Kansas City found the end zone. Patrick Mahomes had one of the longest rollouts a quarterback could have and found Demarcus Robinson throwing back across his body. Following the first score, the Chargers were forced to punt and the Chiefs scored another touchdown on the ensuing possession. KC’s screen game was putting the Chargers in a bind. A screen pass that led to a score that gave Darrel Williams his first career touchdown. Even though the Chargers would get on the board, it was the defenses that dominated the rest of the first half. The Chiefs were forced to punt twice and Rivers chalked up another awful throw that led to an interception in the end zone for the Chiefs defense. Both teams scored touchdowns on their first drives of the second half, with prolonged possessions. Each defense stuffed the opposing offense in the next two respective drives, forcing punts by both teams. Then, Kansas City had one of their longest possessions of the season. A thirteen play drive that resulted in a touchdown run by Damien Williams ate up just around eight minutes off the clock and there was only 8:15 to play in regulation. Things were looking pretty for the Chiefs, up 28-14. Rivers and the Chargers seemingly hit on any pass play to get within a score. Even when the Chiefs would force the Chargers to have to convert on third or fourth down, Kansas City’s defense could not make the play needed or would commit a costly penalty. With the Chiefs now leading by just seven, things still felt in place for a Kansas City win. With Patrick Mahomes and his arsenal of weapons, it was surprising to see what would happen on their final drive. The Chiefs already had to start on their own eleven-yard line for a block in the back penalty on the kickoff return. The first play of the drive, Damien Williams had no shot and was stopped for a loss of three yards. Mahomes would find Tyreek Hill on second down, but a third and long was still looming following the completion. Then another penalty, a false start on Demetrius Harris, put the Chiefs in a similar situation to the Ravens game. But, Mahomes couldn’t lift the Chiefs offense out of a hole this time and was sacked all the way back at the Kansas City six-yard line. The Chiefs had to punt again and the Chargers only needed sixty yards to go to reach the end zone and had plenty of time left on the clock. Overall, the Chiefs offense played well. They converted on all four times in the red zone and no giveaways were committed. What’s crazy, Mahomes has completed two-thirds of his passes, thrown for just over a thousand yards and has twelve touchdowns to five interceptions in the Chiefs combined losses. The offense has also scored forty, forty-four and twenty-eight points respectively in the losses. According to NFL Research, the Chiefs have averaged 39.7 points per game in their losses, which is the most in a single season in the Super Bowl era. Hard to play much better, other than the turnovers in the Rams game. Rivers would find Mike Williams for both a touchdown and a two-point conversion with four seconds to play and no one in Arrowhead Stadium could believe it. This was a drive where Rivers made throws that were perfect and he continues to make the season better each week for the Chargers and himself. This is truly one of the best teams they have had in a while. There were a few different things that led to the Chiefs costing themselves in this game and blowing it. To be frank, there were some awful penalty calls in this game, but it went both ways. It’s not the only game where the officiating has been a big part of the game. Due to the continuous rule changes, refs have to constantly wonder what they’re supposed to look at. They need Dean Blandino back soon. But it wasn’t just this game, the Chiefs have been the most penalized team all season long. In the preview of this game, we mentioned how the Chiefs defensive backs play too handsy. This leads to calls that hurt them in the most inopportune time. The Chiefs penalties on the offensive side of the ball have increased in the last few weeks. As we mentioned with the false starts, they can’t always rely on Mahomes to save them in a dangerous situation. The defense has made some stops at big moments this season. However, they are not good enough to be relied on in all the big moments. This defense has given up a lot of yards, but now they are starting to give up too many big plays. Fans have felt like defensive coordinator Bob Sutton has been no bueno for a few years now. The way this defense is designed, its luck has possibly run out of time. The defense is strictly too simple for the high octane offenses of today’s NFL. Playing constantly the same pass coverage is going to get beat eventually by very good quarterbacks like Rivers. Kendall Fuller played about as good as he could have on that fourth down completion Travis Benjamin on the game-winning drive. But with the Kansas City constantly trying to force things to the outside in man coverage, all Rivers had to do was throw it to the inside of Fuller and hit Benjamin for a first down. The Chiefs just do not take enough chances to change their defensive scheme throughout the game, and it’s not a system that can produce constantly. The Chiefs and Chargers are now tied at 11-3. Kansas City still sits as the division leader and number one seed in the AFC, as they control their own destiny. Though now, the Chiefs have to play in one of the toughest environments for primetime games in Seattle. The Seahawks have been one of the better surprises this season as well. The Chargers have two tough matchups left, but they have shown that they can beat almost anybody and win in almost any venue. The Chiefs will need to perform highly superior against the Seahawks though, and likely win out to win the division and secure home-field advantage. They can’t dwell on this loss too long and fix what they can to get better. Thank you for reading this Chiefs-Chargers recap. Enjoy the remainder of week 15. 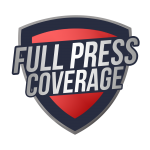 Be sure to check out Full Press Coverage for more great sports content. Previous articleWhich Tampa Bay Buccaneers Legends Could Help the Current Roster?